As a business traveller, it could be quite difficult managing a busy schedule on the go. However, with helpful apps like Kommen and Uber taxi, it is possible to navigate your business trips without feeling the stress of travel. The Kommen app is available in every city where Uber is present. The Kommen app is an android based app that helps you schedule Uber taxi for current and future use. You can schedule Uber for up to 30days and even schedule up to 5 rides at once. This way, if you have a lot of stops to make in a new city, schedule all these rides at once on the Kommen app and have your Uber taxi waiting for you at every stop. As a frequent traveler, you will be prone to visiting new cities and have to deal with local cabs. Uber taxi provides you with polite drivers and a comfortable vehicle. Even if your driver cancels the ride at any point, Kommen app requests another driver on your behalf at no cost to you. This leaves you with enough time to focus on other important details of your trip. By scheduling your rides ahead of time, you not only have the time to prepare for your trip and meetings but also be on time for them. By scheduling your rides, your Uber driver arrives as scheduled and in time to pick you up as opposed to last minute booking. Travelling to a new city is certainly an unfamiliar experience. It might be difficult to determine if there is a dearth of Uber drivers. To prevent getting stranded, book a ride ahead with Uber taxi and ensure you are not caught unawares. 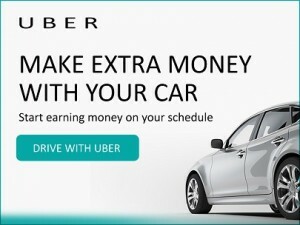 So how does Kommen Schedule Uber Taxi RIdes?